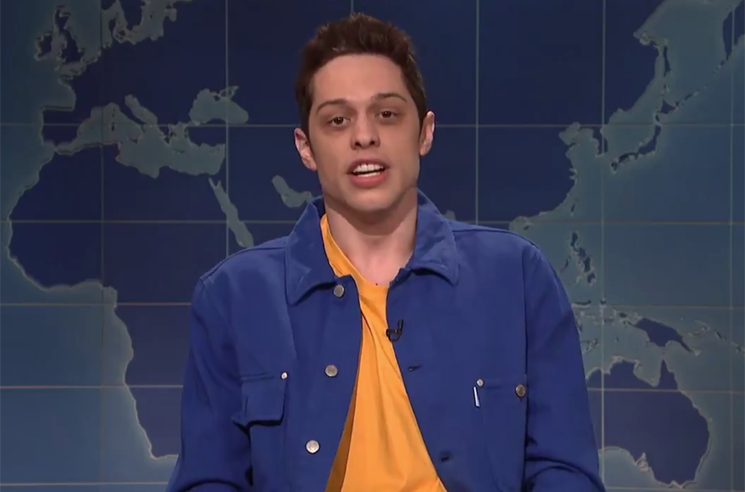 Pete Davidson has once again found himself in hot water after cracking jokes on Saturday Night Live's "Weekend Update." This past weekend (March 10), Davidson jokingly compared the Catholic Church's followers to R. Kelly fans — and the former aren't too happy about it. In the segment, Davidson asks Colin Jost, "If you support the Catholic Church, isn't that the same as being an R. Kelly fan?" Following groans from the audience, Davidson continued, "I don't see the difference — except one's music is significantly better." The Diocese of Brooklyn has since responded to the bit, calling it "disgraceful" and "offensive." "The faithful of our Church are disgusted by the harassment by those in news and entertainment, and this sketch offends millions," a statement reads. "The mockery of this difficult time in the Church's history serves no purpose." It goes on to outline procedures that have been put in place to combat and prevent sexual abuse in the Diocese of Brooklyn. Read the full response from the church here, and watch a clip of Davidson's spot on "Weekend Update" below. Earlier this year, Davidson came under fire for poking fun at a Navy veteran running for congress. The week following the controversy, Dan Crenshaw appeared with Davidson on "Update" to accept his apology.